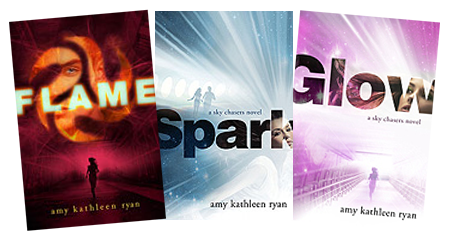 The Sky Chasers trilogy, FLAME, SPARK and GLOW, are all available in paperback! Flame was chosen as a finalist for the prestigious Colorado Book Award. THANK YOU independent booksellers for continuing to be awesome! Glow was selected by Indie Booksellers for the Winter 2012 Kids' Next List. So excited I will be speaking and signing books at WyoCon 2017 at the White Mountain Library in Rock Springs on Saturday, April 29th at 2:25 PM in the Children's area. Come on down to hear me speak about writing and reading! Bring copies of my books and I will sign them for you! I hope to see you there! Additional events will be added soon; please check back. I'm looking forward to traveling to Centennial Colorado's Smoky Hill Library for the Author Open House going on Saturday October 11 from 2-4 PM. Come meet and greet me along with a bunch of other great Colorado authors of young adult fiction! I'm very excited to be participating in the Books and Brews event in Greeley for this year's ReadCon on Saturday October 25th at 5:30PM! Lots of Colorado authors will be there mingling, sipping Colorado brews, and signing books, including yours truly.